As part of my practice I conduct research studies for pharmaceutical companies. In order to get medications approved by the Food and Drug Administration, companies need to do studies to prove the medications are safe and effective. Studies are often conducted by multiple physicians around the world in order to get a sufficient number of patients, and to help them get the drugs approved in many countries. The kinds of studies I do are mostly big and fairly complex endeavors. They usually have an investigator meeting prior to starting in order to explain the study, how to enroll patients, ship blood samples, order supplies, and many other details. It’s also a chance to ask questions and meet others involved in the study. Pharmaceutical companies pay a certain amount of money to each practice for helping them do a study. That money is used for a number of things, including paying for staffing, and usually a small stipend to patients to cover their transportation and time. The budget includes money for investigators, such as myself, to attend investigator’s meetings, but unless it’s a local meeting, I make less money than I would just seeing patients in my office. A trip to the East coast takes about 3 days including the travel time each way, but I only get paid for the one day. It’s a nice change of pace, though, and it’s fun if I get to go to a city I’ve never been to before, or enjoy visiting. Recently I was invited for the first time to an international meeting, in Vienna, Austria, by Novo Nordisk. I’d never been there so I figured I’d go a few days early to see the city. I called to book my flight but was told I could only travel the day before the meeting and return the evening of the meeting, or at most the next day. I explained that I intended to pay for the extra hotel nights and food expense, and it wouldn’t cost them any additional money. They said that they could not because of PhRMA guidelines which I’ve discussed before. They said if I arrived early they would not pay for my flight there. The concern was that they would violate the guidelines because if I spent more time at the destination than necessary, they would essentially be paying for a vacation. I pointed out that arriving early would be to their benefit as I’d be less jet lagged while attending the meeting. I also said that if I was taking a vacation, I would bring along my wife, stay for a couple of weeks if going that far, and I wouldn’t visit Vienna in the middle of the winter. 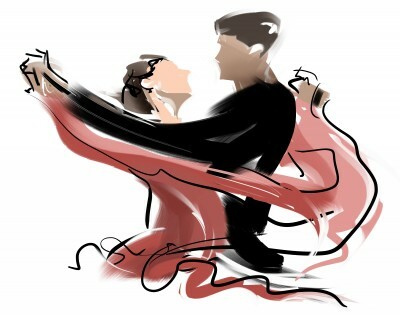 Going to Vienna I want to waltz, but PhRMA wants me to do the two-step, straight there and back. Well I have better things to do with my life, so they will need to find another dance partner. This entry was posted in Medical Politics, Pharmaceuticals and tagged politics, travel, vacation. Bookmark the permalink.